The older a man is, the higher is his risk. Prostate cancer is more common at the age of 50 and increases from there. Prostate cancer begins with tiny alterations in the shape and size of the prostate gland cells. Doctors estimate that almost half of men 50-years and older have these altered cells. The severity of these cell changes is classified as either low-grade or high-grade. Patients who are found to have high-grade alterations, after a prostate biopsy is performed, is at significantly higher risk of developing cancer. Prostate cancer is generally a slow progressing disease. If you are found to be at risk, we will monitor the condition and decide when a second biopsy should be carried out. Age is considered to be the primary risk factor. The older a man is, the higher is his risk. Prostate cancer is more common at the age of 50 and increases from there. Statistics indicate that genetics is a factor in prostate cancer risk. In the United States, prostate cancer is significantly more common and also more deadly among African Americans. The cancerous genes can also be passed from generation to generation. A man whose father has or had prostate cancer is twice as likely to developing it. Men with a family history should receive regular screenings. Studies show that healthy diet and regular exercise can help decrease a man’s odds of developing prostate cancer. Diet should include high amounts of fruits and vegetable and minimal amounts of processed foods. Studies also show that Vitamin D deficiency, red meat and dairy may raise a person’s chances of developing prostate cancer. Regular exercise, at least 3 times per week, should be maintained. A significant link has also been found between obesity and prostate cancer. 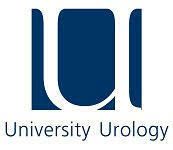 Some studies have shown a possible link between the daily use of anti-inflammatory medicines and prostate cancer risk. Men who have had STDs, particularly gonorrhea, have a higher chance of developing prostate cancer. Recently, an ultrasound technique for killing cancer tumors without harming healthy tissue has been developed and could transform the treatment of prostate cancer. Research suggests that the treatment is as effective as surgery or radiotherapy, but with fewer side effects. Though it is a slow-moving disease with very few early symptoms, being proactive is key.